ADATA manufacturer of high-performance DRAM modules, NAND Flash products, and mobile accessories launches the UD230 and UD330 USB Flash drives. Featuring a capless, folding-cover design and a large lanyard hole for attaching to straps and keychains, they are easy-to-use and well-suited for on the go. The UD230 works in USB 2.0 and offers up to 64GB of storage, while the UD330 works in USB 3.1 and comes with up to 128GB storage. Both models are manufactured with the Chip-On-Board (COB) process, which allows them to be more compact in size and more resistant to impact, water, and dust. 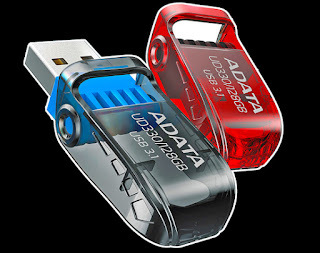 ADATA remains committed to its USB Flash drive global leadership role and will continue releasing new models as market needs evolve. The UD230 and UD330 are manufactured with the Chip-On-Board (COB) process, which results in fewer individual parts, thus they are more compact in size. What’s more, the process also makes the drives more resistant to impact, water, and dust when compared to flash drives made through traditional manufacturing processes. Despite their compact size, the UD230 and UD330 offer plenty of storage, up to 64GB (UD230) and 128GB (UD330) respectively, to store thousands of documents, photos, videos, and more. Users who purchase the UD230 and UD330 can download the free value-added software ADATA UFDtoGO and OStoGO. UFDtoGO is a great companion software for the drives and has many handy features including No-Trace Browsing, data compression and protection with AES 256-bit encryption, and PC-Lock to name a few. OStoGO allows users to configure the drives to be Windows 7 installation platforms, doing away with the need to boot via DVD.